PG-13 - for intense sequences of violence and action, some disturbing images, and thematic elements. 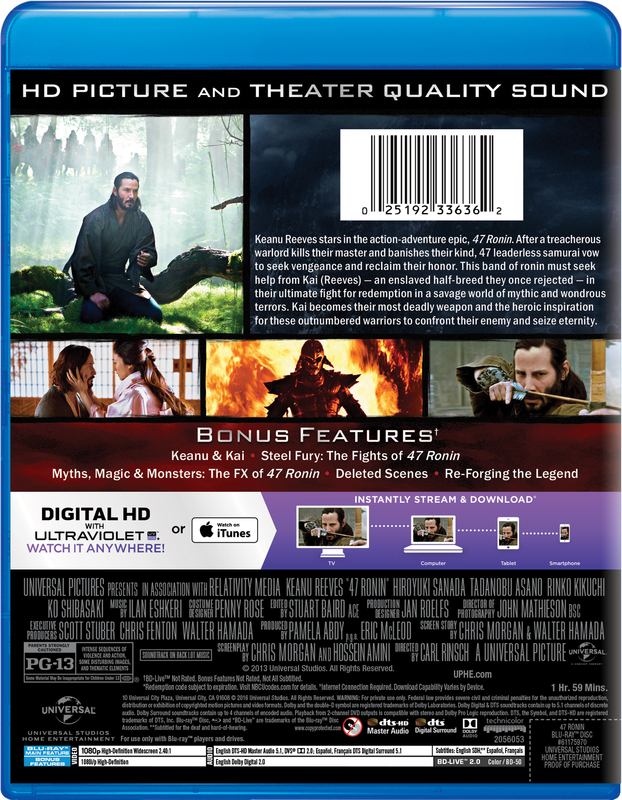 Keanu Reeves stars in the 3D action-adventure epic, 47 Ronin. 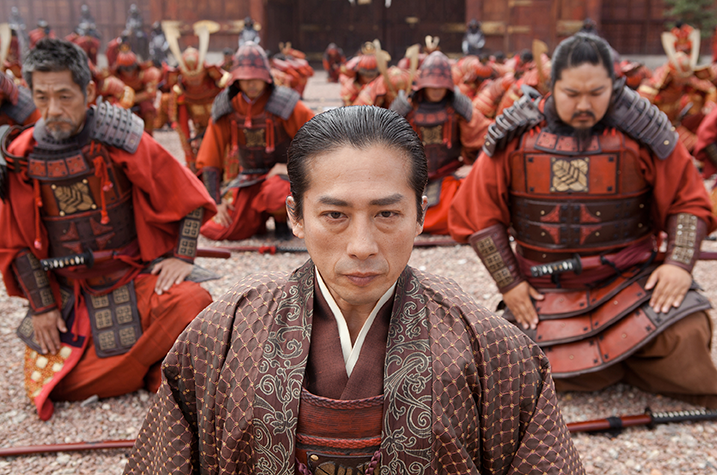 After a treacherous warlord kills their master and banishes their kind, 47 leaderless samurai vow to seek vengeance and reclaim their honor. This band of ronin must seek help from Kai (Reeves)—an enslaved half-breed they once rejected—in their ultimate fight for redemption in a savage world of mythic and wondrous terrors. 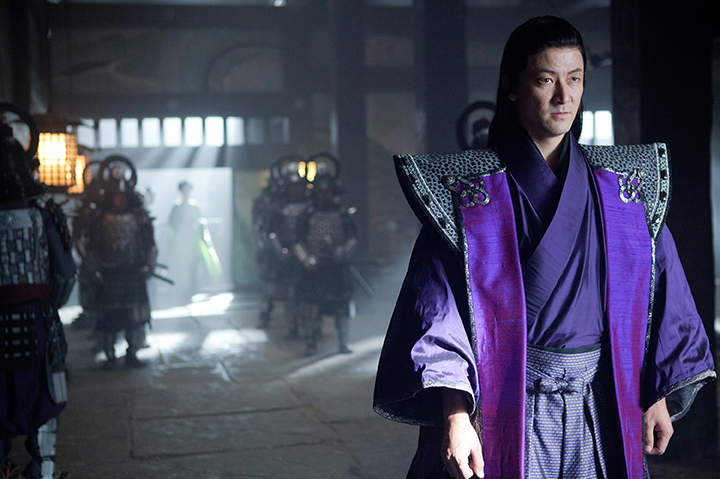 Kai becomes their most deadly weapon and the heroic inspiration for these outnumbered warriors to confront their enemy and seize eternity.